. كما يقدم Freestyle Resort Port Douglas الكثير من الخدمات لإغناء رحلتك في بورت دوجلاس. إن واي فاي مجاني في جميع الغرف, تخزين الأمتعة, واي فاي في المناطق العامة, صف السيارات, التوصيل من وإلى المطار هي جزء فقط من الخدمات التي تميز Freestyle Resort Port Douglas عن باقي الفنادق في المدينة. تتضمن كل غرف النزلاء وسائل الراحة والتسلية المصممة خصيصاً لضمان الراحة القصوى للضيوف. يقدم الفندق العديد من الفرص للاستجمام كمثل حوض استحمام ساخن, مسار جولف - ضمن 3 كم, حمام سباحة خارجي, حديقة. إن Freestyle Resort Port Douglas هو مكان مثالي للمسافرين الذين يتطلعون إلى الراحة والاستجمام في بورت دوجلاس. Friendly and useful information on what to do and what to eat in Port Douglas from the owner, Jason. Free car parking available. Good location, near the shops and restaurants, 4 Mile Beach and the marina. Ann is so friendly and welcoming and nothing is too much trouble for her. She really takes her time to get to know her guests and to find out what they want from their holiday. Great recommendations for activities. Rooms are clean and bright with a large balcony. 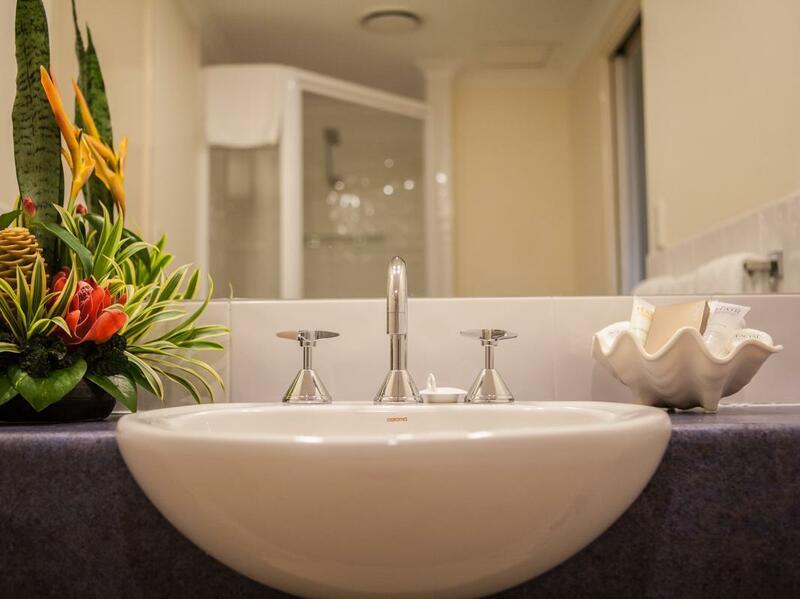 The kitchen is very well equipped, with everything you could possibly need for a great stay. Freestyle Resort is not a resort. It's a good 3* hotel/motel. Old, a smell of dampness, a very small pool and nothing else to offer. It doesn't worth a normal price that advertised on websites. I have received a special offer and paid $145 p/night, however, the normal price for this accommodation is much bigger, around $260 p/night. Definitely not worth it. Distance to restaurants is not very short, still good 15 min to walk. However, staff is very friendly. Lovely clean room, great air con!! Staff very friendly and helpful, great location 5 mins walk to Main Street. Highly recommend this hotel. From the moment we arrived, Jason and Anne offered a warm and friendly welcome. 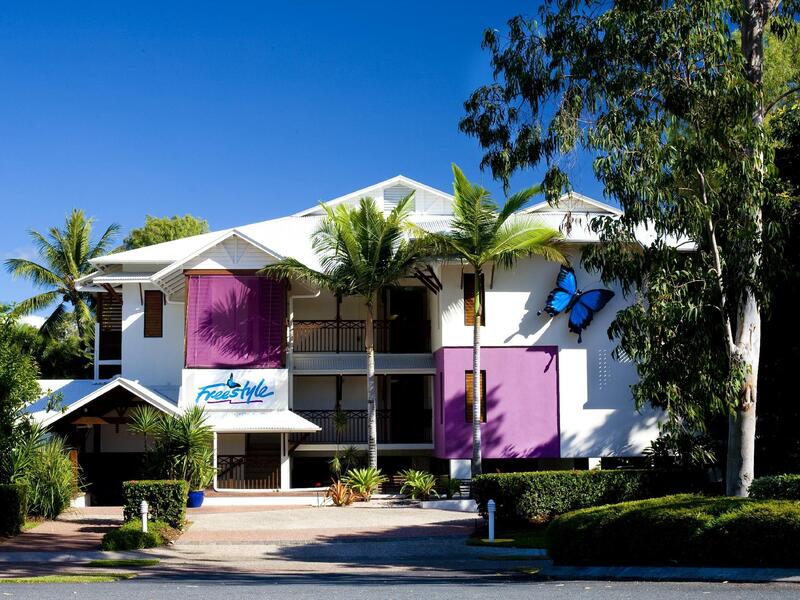 Freestyle resort is in a great location, close to the town centre, but is in a quiet area. The surf club is right across the road, as is the beach. What we appreciated most was the cleanliness of the room. When we asked Anne for information on anything, she was a wealth of knowledge and nothing was too much trouble. We booked through Agoda for 4 nights and ended up extending our stay. Would definitely stay here again. 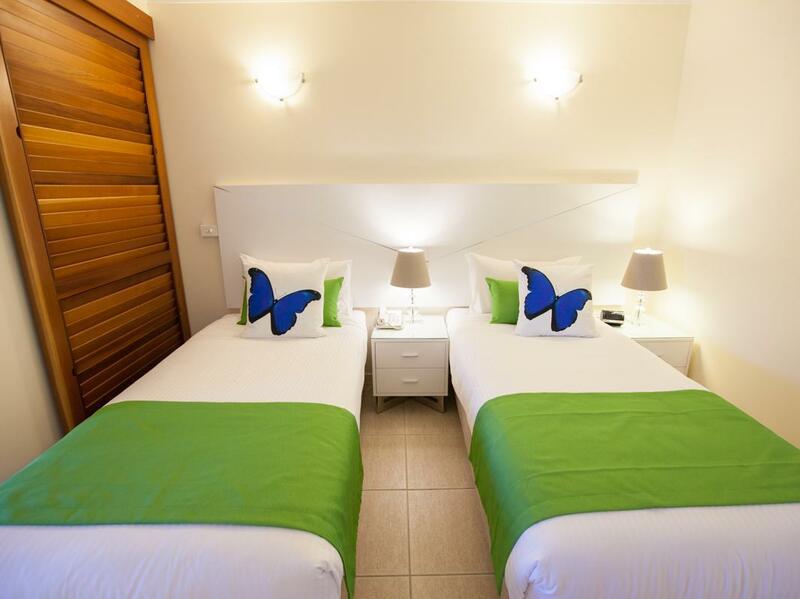 Location is great, only a five minute to walk to the beach and the main shops. Very friendly staff. Super comfortable apartments. Free parking. Clean rooms. Amazing stay. I would definitely recommend this hotel. We very much enjoyed our stay. 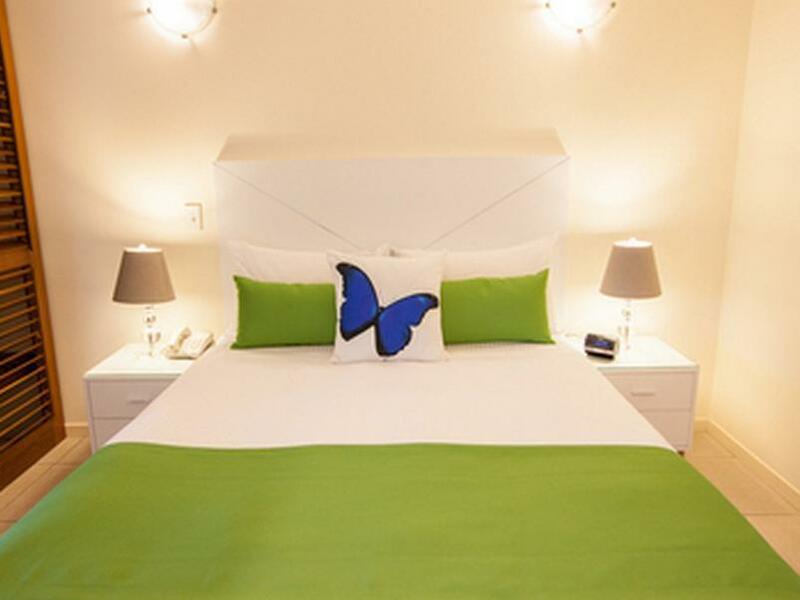 The apartment was very clean and well maintained with good facilities. Warm and friendly staff greet you and offer an abundance of advice on local attractions and Restaurants to try out. They helped take care of visits to the reef and organised our transfers. Free internet is always a bonus. One block away is a scooter hire place, very handy! Apartamento muy comodo, totalmente equipado, con excelente calidad. Mi llegada se realizo sin contratiempos con informacion muy completa sobre actividades y excursiones. El trato recibido por Anne es excelente ya que se preocupa en todo momento porque todo sea perfecto. El apartamento se recibe muy limpio y bien cuidado con todo tipo de enseres para que la estancia sea muy comoda. El wifi funciona como la seda en todas las habitaciones del apartamento y es gratuito, a diferencia de la mayoria de hoteles de australia donde curiosamente es de pago. No tengo ninguna pega ya que mi estancia ha sido estupenda. Muy recomendable, volveria sin duda. Har kun godt at sige om Freestyle Ressort. Gåafstand til strand, marina og centrum. Dejlige værelser. Stor altan. Og fantastisk hjælp og imødekommenhed fra ejeren. Fås ikke bedre.